This section will cover any key details about the series. What do these covers say about this series? Honestly, I both love and hate these covers. 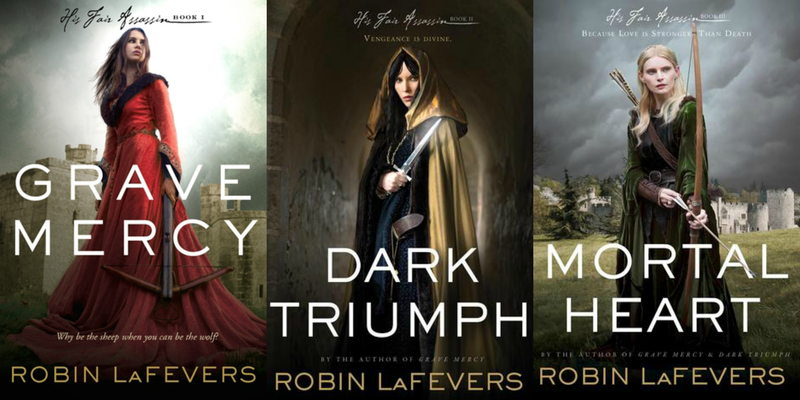 I love the way the covers are similar with the heroine of the book front and center, and the way that each person seems true to the character inside. I like that each heroine is wielding a different weapon, but all wear a fierce expression. But I hate that these covers have real people! However, I do think these covers give you a good sense of what's inside: an epic historical fantasy that follows three very different, but equally amazing, characters. Based on the summary, what can you expect going into this series? His Fair Assassin series is set in Brittany during the late 1400s. It's historical fiction... with a fantasy twist. It follows three women who are trained at a convent to be "handmaidens of death" (or, you know, powerful assassins). It deals with actual historical events and includes many real figures, but it adds in the epic drama of missions from Death. I don't even know how to describe it, except to say that it's amazing. Each book also includes a swoonworthy romance, too. The summary promises "dangerous gifts", "a violent destiny" and "deadly games of intrigue and treason," and you'll get all of that and more in this series! What are some highlights of the series? Three courageous heroines who all have hurts but use them to become stronger. Three unlikely heroes who are supportive and protective. A plot to overcome Brittany... and a plan to thwart it. A duchess in need of all the help and protection she can get. A convent with a duty to serve Death. An order to kill and administer justice, but a desire for mercy. A dash of power, a whisper of treason and dose of political intrigue. A well-researched and impeccably detailed world. An incredible cast of secondary characters. Three love stories built on mutual respect and bursting with tension and chemistry. How will you feel closing the last page? Mortal Heart ends on such a great note! I will admit that it was probably my least favorite of the series, but that's just because I wasn't nearly as invested in the romance in it. The final book in the series includes more of the fantasy elements than the previous two did, and I occasionally wished it had felt a bit more historical. But honestly, it's a pretty minor complaint. I am amazed by how much research went into this series, and I'm so glad that LaFevers chose to focus on three different characters rather than use the same protagonist throughout the series. It gave me something new to look forward to with each book and expanded the world in such a fascinating way. This is such a strong series, and I doubt there will be any disappointment in the ending! It resolved the overarching conflict in the series, and left me hopeful and happy about each character's future. Summing up this series in just three words? Is this series worth your time? YES! I absolutely love this series, and I wouldn't hesitate to recommend it to so many readers. It's a great introduction to historical fiction for readers who are perhaps a little unfamiliar with that genre, especially since the fantasy elements up the stakes. It's also a great chance for readers who are newer to fantasy to ease their way into that genre. And fans of both? Well, they'll likely want to cuddle up with these books and never let them go. While I had my favorite book in the series, they are all captivating stories of remarkable heroines who are filled with passion and courage! *I received a copy of Mortal Heart from the publisher for review consideration. This did not affect my opinion of the book or my review. 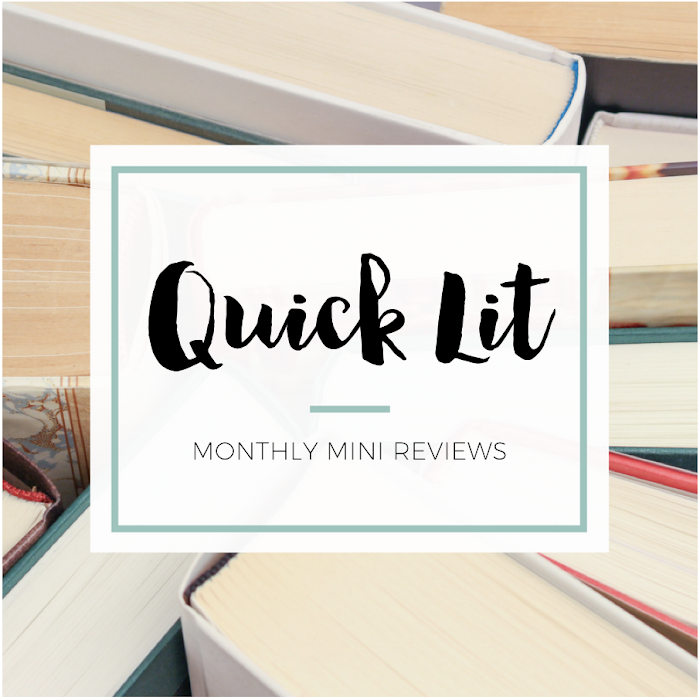 I recently read Grave Mercy for book club, and while I did enjoy it, I think the hype this one has gotten gave me somewhat unrealistic expectations and it wasn't an OMG AMAZING book for me (blasphemy, I know!). I am totally intrigued by the other two girls though, so I think I will continue the series, especially now that the pub date is nearly upon us. I'm always kind of scared of starting this series because the first book is so huge! But I after your points I think I'm gonna love it, this series is already on my Kobo and I plan on reading them on my winter vacations, it looks perfect for the clime and mood of this season. This is such a great way to review a series - I love it! I couldn't agree more - it's a fantastic series, with amazing heroines, swoon-worthy heroes, and plenty of intrigue + history. I think Mortal Heart is actually my favorite, but they're all very close! I want to reread these in audio. You've said everything perfectly; I have nothing to add except my favorite cover is Grave Mercy, and it is also my favorite of the series. That is all. I loved these books. LOVED. THIS SERIES HANNAH. MY HEART. 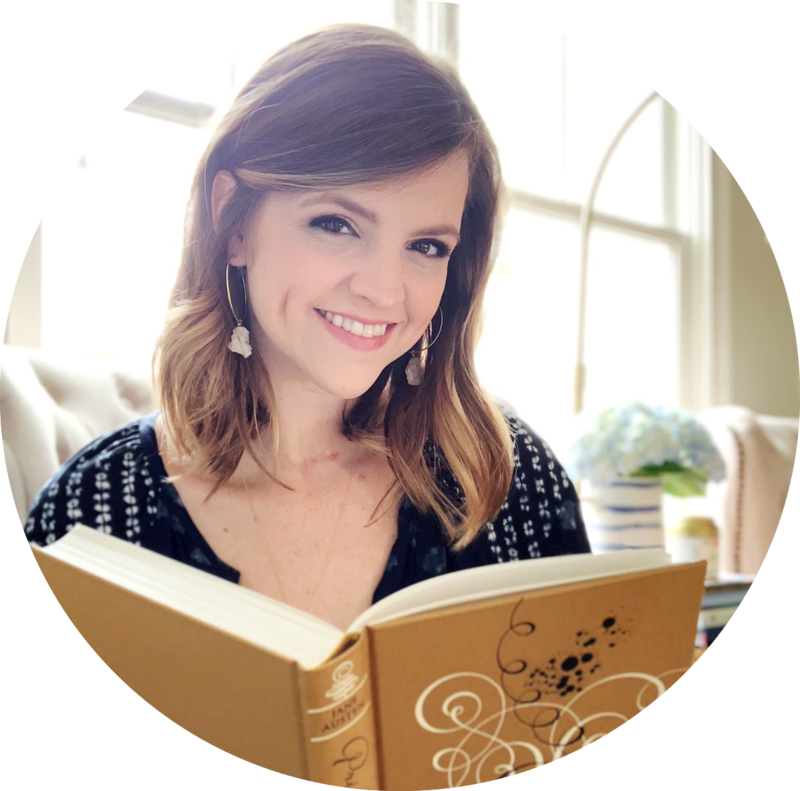 I'm Hannah - a Southern sass with some book nerd thrown in for good measure. Hey y’all! Copyright (c) 2015 So Obsessed With. Powered by Blogger. © So Obsessed With • Theme by Maira G.